A Carrozzeria or coachbuilder is a manufacturer of bodies for carriages or automobiles. The trade dates back several centuries. Rippon was active in the time of Queen Elizabeth I, Barker founded in 1710 by an officer in Queen Ann's Guards, Brewster a relative newcomer (though oldest in the U.S.), formed in 1810. Others included Hooper, H. J. Mulliner & Co., Park Ward, Gurney-Nutting, and James Young. In France, they were led by Binder, Chapron, Kellner, Labourdette, Letourneur et Marchand, and later Hibbard & Darrin (formed by Americans). Germany's top firms were Erdnamm and Rossi, Gläsner, Karmann, Hebmuller, Neuss , and Papler. Italy had firms such as Frua, Castagna, Ghia and Touring. The U.S. featured Brunn, Murphy, Derham, Locke, and Willoughby. Initially, the skills used to build the wooden and metal bodies of vehicles was so specialized that most manufacturers procured contracts with existing coachbuilders to produce bodies for their chassis. For example, Fisher Body built all of Cadillac's closed bodies in the 1910s. As coach (and automobile) manufacturers brought body building skills in-house, the practice of custom coachbuilding gained favor among the rich. Some ultra-luxury vehicles sold as chassis only. For instance, when Duesenberg introduced their fabulous Model J, it was offered as chassis only, for $8,500. Other examples include the Bugatti Type 57, Cadillac V-16, Ferrari 250, and all Rolls-Royces produced before World War II. 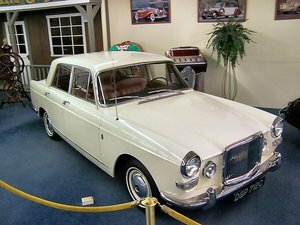 Many coachbuilders became associated with famed designers, such as Pininfarina and Giugiaro. The advent of unibody construction, where the car body is unified with, and structurally integral to the chassis, made custom coachbuilding (in the traditional sense of putting a bespoke body on a factory supplied separate chassis) practically impossible. Many coachbuilders were purchased by automobile manufacturers and merged with their vehicle operations. Others became contract vehicle assemblers, building niche or localized cars for larger companies. Coachbuilding survives among low-production companies such as Rolls-Royce, Aston Martin, and Morgan because of its low cost for a short run. Producing body dies is extremely expensive (a single door can run US$40000), which is only practical when large numbers are involved. Coachbuilders often used native translations: carrozziere in Italian and Karosserie in German. In reference to a Recreational Vehicle or motorhome, coach-built means a vehicle which has been purpose-built, using only a chassis as a base vehicle, as opposed to a conversion which is built inside an existing vehicle body. — Encyclopedia of American Coachbuilders. - the North American RV Dealers Association site.